A Windshield is an important structural component of your vehicle, so quality installation is very important. A correctly fitted, expertly installed windshield means you can tackle the traffic with one less worry. 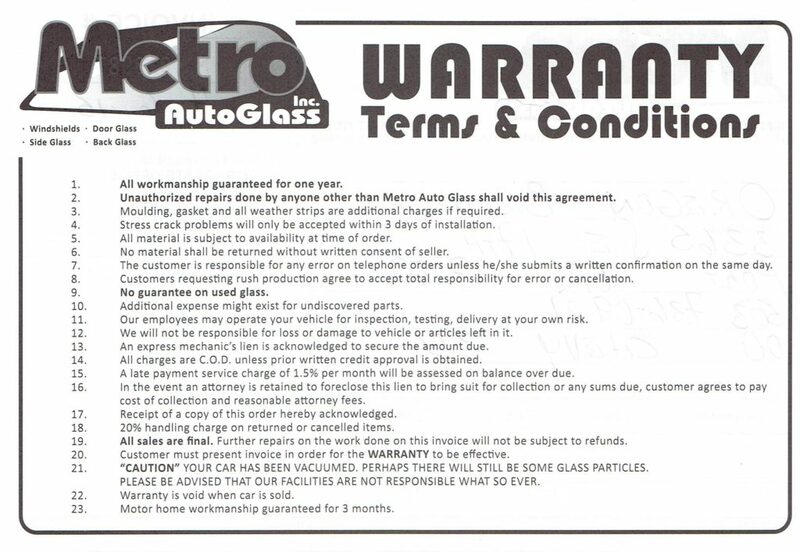 METRO AUTO GLASS replaces all vehicle glass including Windshields, doors, back glass, and even side view mirrors. Why replacement? Why not repair? Windshield glass is laminated, unlike the rest of the glass in your car. That’s why windshields withstand impacts better. 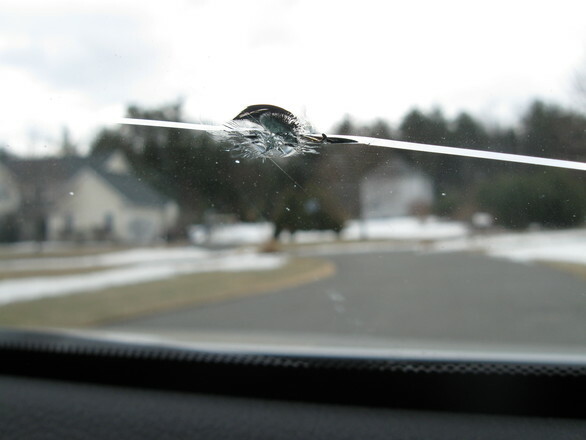 Small windshield fractures can be fixed but sometimes cracks can occur, making replacement the only option. To find out what is best for you windshield, repair or replacement, call METRO Auto Glass today! Rock Chip repair is safe, convenient and takes less then 20 minutes depending upon the degree of damage. At METRO Auto Glass we can repair chips, nicks and cracks that are no bigger then the size of a quarter. Windshield repair is considerably less expensive then replacement. But if you wait too long and damage has time to spread windshield repair will no longer be an option. A repaired windshield will not only save you money… but will also bring peace of mind when thinking of loved ones and passengers! Insurance companies normally waive deductibles so that there is no cost to you to get the repair done. Your safety is important to us and sometimes, due to outside temperatures, we will have to reschedule. We will not compromise on installation requirements. *Certain conditions may apply; call store for details. Because quality matters when it comes to windshield repair, our technicians use the best products available, including the industry’s first One-Hour adhesive for windshield installations. We are committed to using the most advanced materials to improve the quality of your windshield installation as well as your safety and convenience.